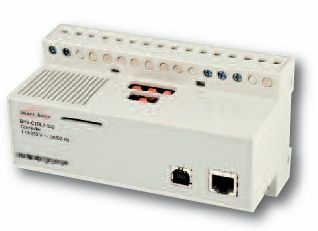 This allows Comfort to control and monitor any of the 129 Dupline addresses (A1 to A8, B1 to B8, ..., P1 to P8) by connecting to the CTRLX Smart-house controller (may also be known as Dupline Master Generator). Able to send a commands to Set Output On/OFF, Set Input On/Off or activate Momentary Input for all Dupline addresses. allows alarm inputs and alarm conditions to be linked to Dupline for full integration of alarm and lighting. allows Dupline switches to trigger Comfort Responses, allowing control of non-Dupline appliances like air-conditioners, home entertainment systems, and linking to all of Comfort's security and control functions. Acts as a gateway to other systems e.g. 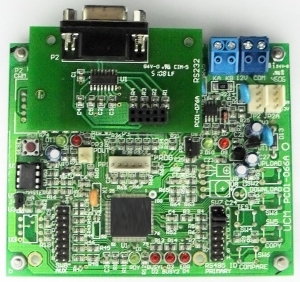 KNX, C-Bus, Z-Wave, Velbus etc. functions as a central controller for Dupline. Comfort is able to take action based on conditional logic, for example, when the time is between 7 PM and 7 AM and the security system is armed, and when the front door is opened, turn on the Living Room lights for 3 minutes.